As a former Hospice of Michigan CEO, Carolyn Cassin is a passionate advocate for hospice care. She continues to support the mission of nonprofit hospice through a legacy gift of $1 million to the Hospice of Michigan Foundation. When Carolyn Cassin lost her baby son, she went back to work the following Monday, devastated. The year was 1976 and people didn’t talk openly about grief and loss. She remembers the platitudes: “you’re young, you’ll have other children,” and the silence. Cassin realized that nothing much had changed in the 10 years since the death of her father. She swallowed that loss, too, returning to high school a few days after the funeral. So Cassin channeled her energy and sadness into education. A fellowship program through the Kellogg Foundation enabled her to study the concept of hospice, which was still taking root in America. And so was born a passionate advocate for hospice. 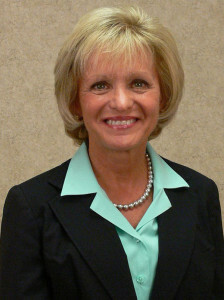 Cassin connected with the National Hospice and Palliative Care Organization in the early 1980s, helping to bring standards of care to hospice providers throughout the country. She was tapped to join the National Hospice Education Project, which worked to create the Medicare hospice benefit in 1982. As the CEO of Hospice of Southeastern Michigan, hers was one of the first hospice programs in the country to be certified under those new guidelines. But the career achievement she’s most proud of? Uniting 10 nonprofit hospice providers around the state under the umbrella of Hospice of Michigan, where she served as CEO for more than a decade. “Sometimes it takes being at the right place at the right time,” Cassin said. “My sense was that hospice had two paths we could go down. We could each stay in our own community organization and fend for ourselves or we could start to band together as not-for-profit hospice providers and create the size, girth and expertise of a sophisticated organization that could compete with the for-profits. That process continues today as Hospice of Michigan joined forces in January with Arbor Hospice. The affiliation of two like-minded, mission-driven, nonprofit organizations allows them to better serve patients and families while helping to strengthen and expand the future of nonprofit hospice in Michigan. Cassin continues to support the mission of nonprofit hospice through a legacy gift of $1 million to the Hospice of Michigan Foundation in support of its Open Access program, which will bear her name. Open Access ensures that all patients, without regard to age, diagnosis or ability to pay, can receive compassionate care at the end of life. Legacy gifts like Cassin’s are critical to supporting the mission of nonprofit organizations like Hospice of Michigan and Arbor Hospice. Residents of Washtenaw County and beyond have a long history of supporting Arbor Hospice’s work through generous contributions to The Arbor Hospice Foundation. That generosity is underscored by a recent legacy gift of $500,000, pledged anonymously by a donor who appreciates Arbor’s dedication to patients’ dignity, comfort and peace and the nonprofit model that enables Arbor to put patients’ needs first. While patients of both Hospice of Michigan and Arbor benefit from enhancements made possible through the affiliation, donors may continue directing their gifts to a specific organization. Robert Lee Hyrns, age 62, of Newaygo, passed away March 17th at his residence. He was born April 19, 1953 in Grand Rapids, Michigan, the son of Alva and Donna (Spring) Hyrns. During his working years, he worked as a self-employed logger for 23 years and a heavy equipment driver for 10 years out west. Surviving are his parents Alva and Donna Hyrns; sister Sandy (Norm) Seppi; brother Rex (Mary) Hyrns; daughter Becky (Chad) Moore; two grandchildren, Kelly and Ryan; one great-grandchild, Dixie; several nieces and nephews. He is also survived by his girl friend, Dawn Billings. As to Robert’s wishes, cremation has taken place and a light luncheon will be served at Ensley Center Township Hall on Saturday April 2nd from 1 to 3 p.m. In leu of flowers, please make a donation to Hospice in Bob Hyrns name. The H Word: When is it time to call hospice? When is it time to call hospice? While the H word scares people, Hospice of Michigan says that making the call early can enhance quality of life at the end of life. Jane is suffering from cancer. It started in her liver and has now spread to her lungs and embedded in her bones. The chemo and radiation are not helping. But her doctor is yet to bring up hospice, the H word so many don’t want to hear. While a doctor may not want to deny hope, Paletta says it can be just as harmful to foster a patient’s unrealistic vision of recovery. But when is the right time to consider hospice for you or your loved one? Paletta suggests that those suffering from a severe or terminal illness should contact hospice sooner rather than later, even if they aren’t necessarily ready to begin hospice care. 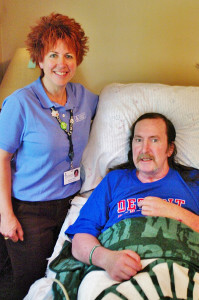 For more information on Hospice of Michigan and the services it provides, contact 888.247.5701 or visit www.hom.org. The family of Marjorie Bailey would like to thank our community for the cards, flowers and acts of kindness shown to us during our difficult time. Hospice for their tender and dedicated attention to Mom. Bliss-Witters & Pike Funeral Home for helping us navigate final plans and the First Baptist Church for the wonderful luncheon. We appreciate all of you. 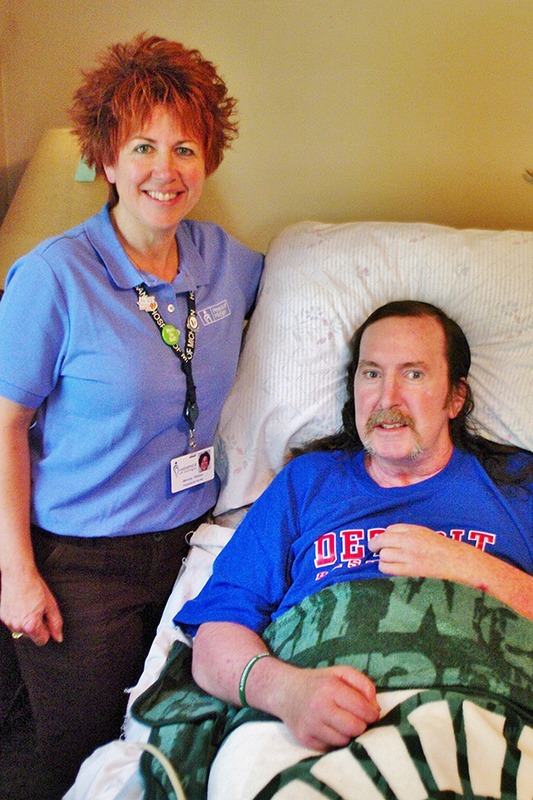 Thanks to arrangements made by Melody Walker, Hospice of Michigan caregiver, Matt Magee had the experience of a lifetime when the rock-and-roll fan was able to meet members of his favorite band, Alice in Chains. Matt Magee recently had the experience of a lifetime. A diehard rock-and-roll fan, the 56-year-old was able to attend a concert featuring his favorite band, Alice in Chains, in Mt. Pleasant. As a bonus, he was able to meet band members outside their tour bus for autographs, photos and conversations after the show. Magee made the hour-long trip from his home, an adult foster care center in Big Rapids, while suffering from advanced multiple sclerosis, thanks to connections made by his caregiver, Hospice of Michigan. November, National Hospice and Palliative Care Month, is a time when hospices and palliative care providers across the nation help raise awareness about this special kind of care. It is also a good time to help deepen the understanding of hospice and explain the many myths. Myth: All hospice organizations are connected. More than 100 hospices provide end-of-life care in Michigan. Some are run by national chains and some, such as HOM, are community-based and grow from a mission to provide compassionate care. Some programs are affiliated directly with a hospital or nursing home, while others are free standing. Patients and their families have the right to choose the hospice organization they feel will provide the best care. Myth: All hospice organizations are the same. Hospice programs can differ widely in the services they provide, their philosophy of care, etc. One of the most important distinctions is those that are for-profit and those that are non-profits. As a non-profit organization, HOM has a mission of providing service to anyone who needs or seeks its care, regardless of their age, diagnosis or ability to pay. HOM will never turn a patient away, no matter how medically complex or how medically fragile the condition. For patients without Medicare or insurance, HOM provides free care, raising more than $4 million every year to cover the cost of services for those unable to pay. In general, hospice programs are open to people in the last six months of life, as certified by a physician. 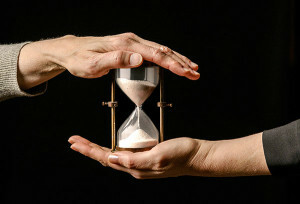 However, there is no fixed limit on the amount of time a patient may continue to receive services. Hospice care is available as a benefit for those who receive Medicare. It covers all medicines, medical supplies and equipment that are related to the illness or condition and provides such support as home health aides, physicians and nurses, chaplains, counseling, practical and financial assistance, grief assistance and volunteers to help with day-to-day chores, errands and companionship. For those ineligible for Medicare, most insurance plans, HMOs, and managed care plans cover hospice care. As a non-profit hospice provider, HOM does not charge for its services. Hospice is not necessarily a place; it’s a form of palliative care that seeks to comfort rather than cure. HOM provides services wherever the patient is living or receiving care. It may be in an apartment, condo or home or a hospital, nursing home or assisted living facility. HOM travels to wherever the patient considers home, allowing them to continue to receive support from their family and friends while under hospice care. Palliative care becomes appropriate when treatments are no longer effective and the burden of the disease becomes too much to bear for the patient and family. While hospice does focus on comfort rather than cure, hospice nurses and physicians are experts in the latest medications and devices for pain and symptom relief. Hospice is not only about helping patients die a good death, but it is also committed to helping their loved ones learn to live with grief. HOM offers a variety of free grief support groups throughout Michigan that are open to all in need. 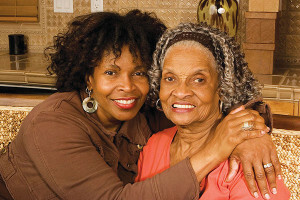 For more information on hospice care or to determine eligibility, contact Hospice of Michigan at 888.247.5701 or visit www.hom.org. After caring for her sick mother for months, doctors tell Stacey that her mother’s death is approaching. Stacey’s focus has shifted from finding a cure for her mother to making sure she’s comfortable and that she doesn’t die alone. Stacey finds herself overwhelmed. Her grieving process has already begun and while she spends countless hours at her mother’s bedside, she fears she might not be there during the final moments. HOM typically sends vigil volunteers for a two- to four-hour time frame. Volunteers play music, read inspirational readings or scripture, light candles, hold the patient’s hand, pray with the patient or just talk about the day. Julien says that in addition to sitting vigil with the dying when their family can’t be there, volunteers often sit alongside loved ones to offer comfort, reassurance and a shoulder to cry on. Julien explains that when people begin actively dying, their sense of sound is the last sense to go. While they may be unresponsive or appear unconscious, it’s very possible the patient can still hear what’s happening around them. In addition to creating a peaceful and comforting surrounding, sitting vigil is also the time to reassure patients that they are not alone, it’s okay to go and that their family will learn to cope with their passing. When and when not to comfort patients through the physical touch of hand holding, rubbing their arms, etc. If you would like to learn more about volunteer opportunities for Hospice of Michigan or sign up as a volunteer, contact Kathy Julien at 888.247.5701 or kjulien@hom.org. For those who have experienced a loss, HOM encourages a waiting period of one year before becoming a volunteer in order to allow for processing grief.